This is the final part of the series.."A Work In Progress", of which we have followed through the making of two bespoke sports jackets/coats. 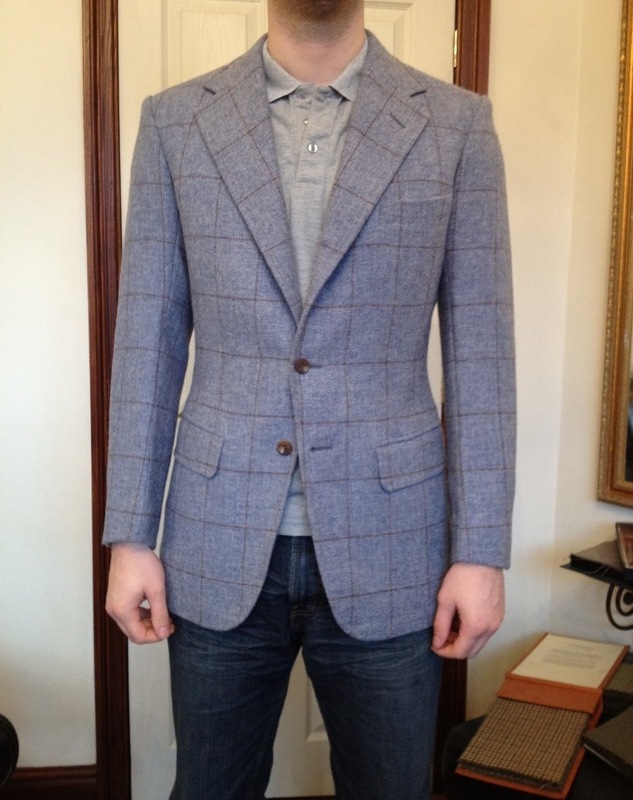 The first jacket is the exclusive LLTW20 from The London Lounge Cloth Club. 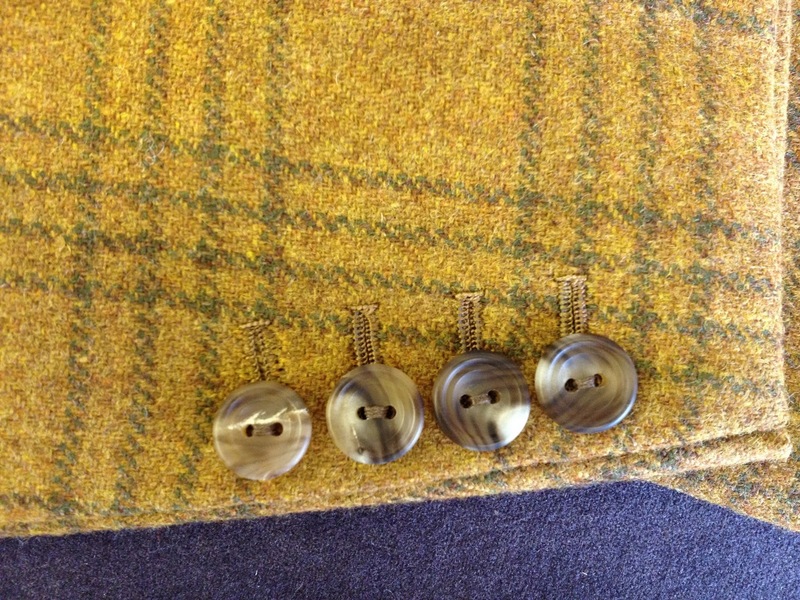 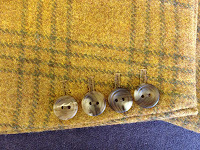 Which is a Blue Shetland Tweed with a brown window pane. 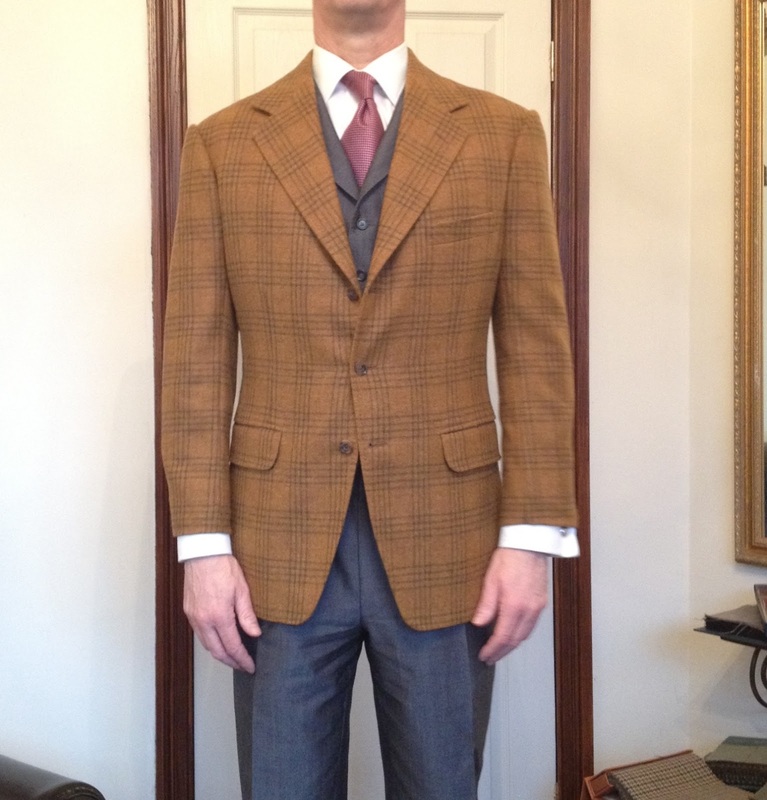 The second jacket is the JJ Minnis 7704. As you can see from the pictures, the jackets are back from the hand finisher (see part 3) and are now ready for the final press and buttoning which was done by Andrea, and then prepared to be shipped off Stateside. Also, just a note to mention that the jackets are modelled by Dad and myself for the purpose of this article. 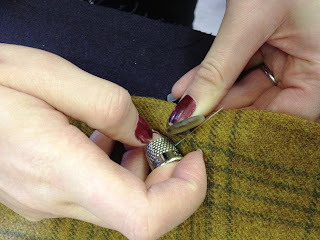 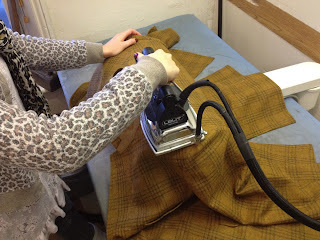 Andrea pressing the coat before buttoning. 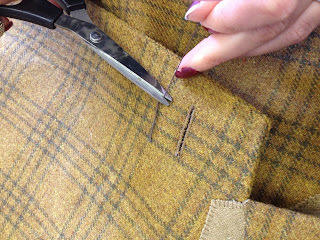 Making the flower loop behind the lapel.